Wisconsin has 72 Counties. Each County has a community that is the "County Seat". The County Seat has the government offices for the county. The governing body of the county is the board of supervisors, generally elected to a 2-year term. The largest land area Wisconsin County is Marathon County with a land area of 1,545 square miles. The smallest land area Wisconsin County is Pepin County with a land area of 232 square miles. For population, Milwaukee County is the largest with 948,930 per the 2016 State of Wisconsin Estimate. Menominee County had the least population of any Wisconsin County with 4,256. Dane County has the most farms with 2,749 and Menominee County has the least with 5 farms. Vilas County has the most lakes with 1,318 lakes. Green County has the least with only 5 lakes. For total lake area, Winnebago County has the greatest inland lake area for their 30 lakes with 169,755 acres. Calumet County's 8 inland lakes have an area of 98 acres for the smallest. Click on the map pins on the Wisconsin County Map below or on the County buttons below the map to see more information on each county. 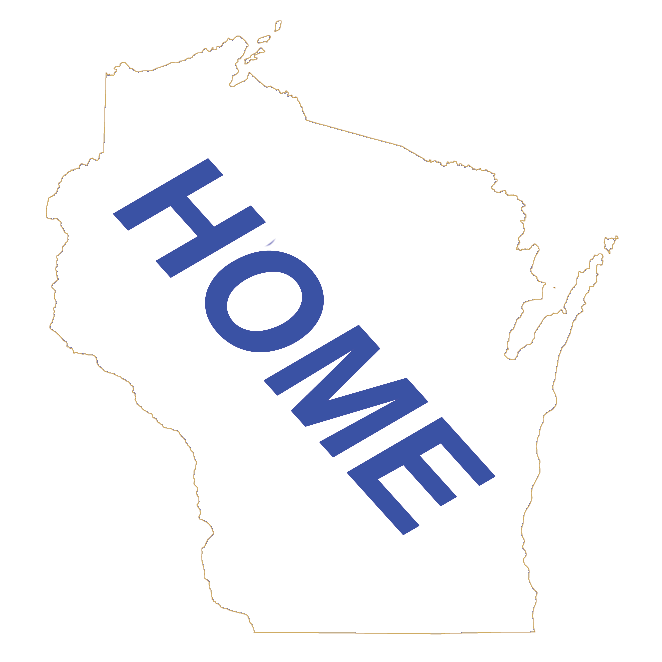 Each Wisconsin County Home Page will have a county map, County information, demographics and a list of County communities.